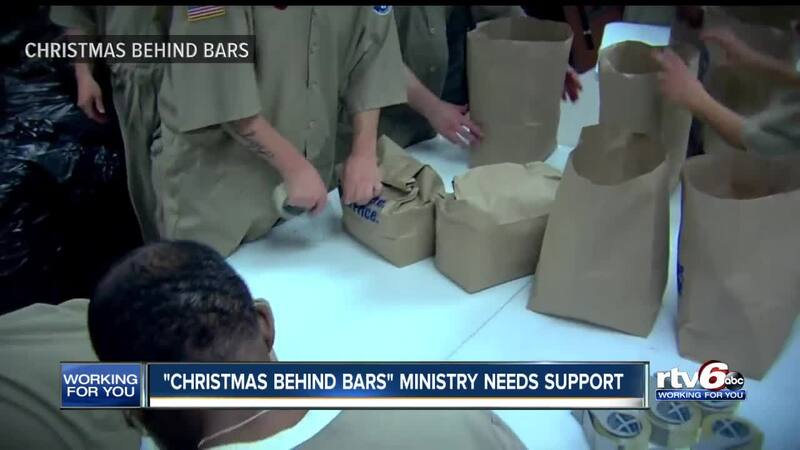 Prison ministry in Indianapolis is looking for donations and aid in helping inmates this holiday season. INDIANAPOLIS — A local ministry is asking for help this holiday season. "Christmas Behind Bars" is a prison ministry that has one goal for this Christmas - to let inmates know they are not forgotten. "For me personally its changed my life," said Lynette Cain, who started working with this prison ministry 12 years ago. "I think everybody knows somebody who has been arrested - we have all felt that pain." Cain works alongside the Founder, Lemuel Vega, and his wife. As a convicted felon himself, Vega knows the struggle they face. Today, on Christmas Eve, Vega is visiting three different prisons across the state. "If we don't go into the prisons and expose these people to another answer - that is so much bigger than us - then they've lost hope," said Cain. "They come out, they don't know what direction to go." Cain understands that going into a prison is not for everyone. But she says everyone can help make a difference by donating. "At this point, this ministry has grown to such a point. We don't have the resources to fulfill the demands," Cain said. "We need new and used bibles. We also need sponsors and we need wardens." When the ministry visits the prisons every inmate get a package with toiletries, food and a bible. Right now the ministry needs volunteers to help bag care packages, food donations, men's clothing/shoes and even pictures with encouraging letters to give to the inmates. "I believe if we reach these inmates behind bars, our city will be safer. Our children will be safer," Cain said. "Christmas Behind Bars" started 23 years ago and the work has expanded from prisons in Indiana to more than 20 other states. The ministry drives a semi full of supplies to each prison. Hoping to spread the word and make a difference in atleast one person's life.